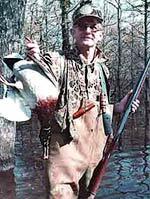 Bob Brister on Bob Jamison: "He is the only man I have known to wear a shirt and tie into the rice field ... he gets in such a hurry to go duck hunting he doesn't even bother to change clothes. 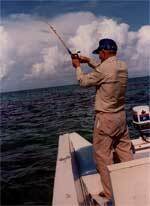 These are a few of Bob Brister's columns about the two Bob's hunting and fishing trips. Each one, of course, explains how they got out into and out of trouble. 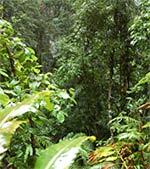 In the jungles of British Honduras lives the 'Big John' Littlejohn family. Their nearest neighbors are parrots, toucans, 500 lb tapirs, Jaguars, vampire bats, wild jungle pigs and the occasional Witch Doctor. The following three-part series was written by 'Anonymous'. However, the author's identity is innocently revealed by my Grandmother's, Bob's Mother's, notation. 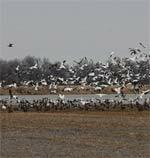 November 27, 1969, American Rice Growers Association, Dayton Division Goose Hunt. This sporting event was held each year for the executives and officials of the Houston Bank for Co-Ops and for local farmers and their guests. Dignitaries in attendance included various company & banking executives, a TV newscaster and an astronaut.